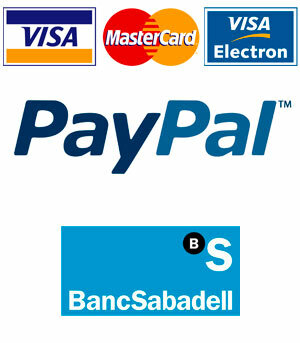 The following payment methods are accepted: credit card, debit card, Paypal or wire transfer. It is not allowed to use data or payment instruments of third parties. Your order will be processed as soon as your transfer is received. Payment security: Stretch y Retractil Ltd. Guarantees the privacy and security of all the data used through the web and the website http://www.jamonify.com. The website uses a SSL (Secure Socket Layer) payment system. Product availability: If one or more products are not available, Stretch y Retractil Ltd. commits itself to inform the customer as soon as possible. Therefore, the customer’s order will be cancelled and the payment will be refunded.